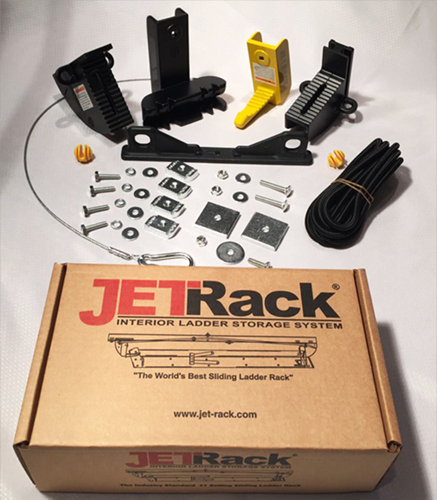 The JET RACK® ladder storage system will quickly and efficiently secure your ladders on the ceiling or walls of your vehicle or storage unit. The easy-to-install system will keep your ladders up, out of the way, and protected from theft and damaging weather. Order 4 units or more and receive FREE SHIPPING. Additional shipping charges may apply to all orders outside of the US.